Faraway Press: The Online Home of John Jackson Miller: Star Trek at 50 — and Star Trek: Prey Book 1 - Hell's Heart lands in the office! Star Trek at 50 — and Star Trek: Prey Book 1 - Hell's Heart lands in the office! 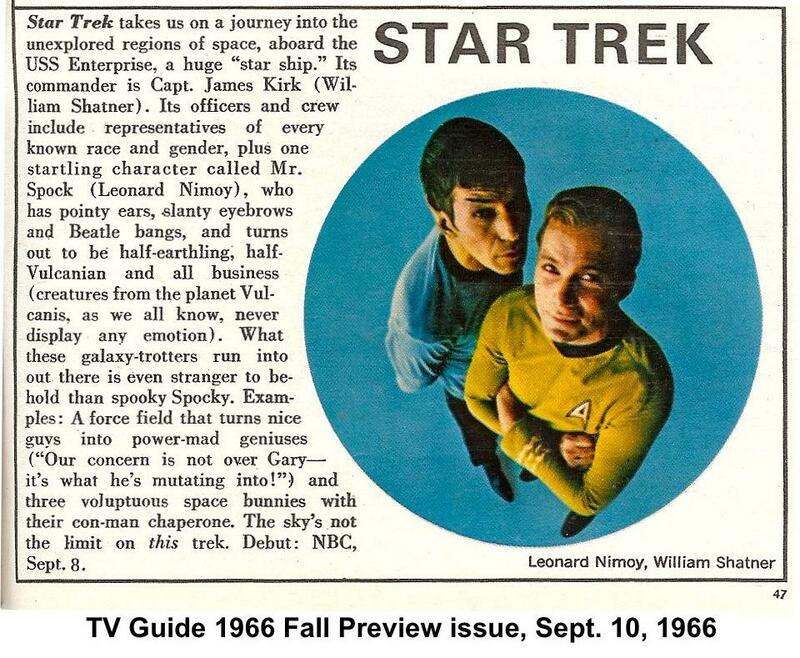 Today is the fiftieth anniversary of the airing of the first episode of Star Trek — a major moment in the pop cultural firmament to be sure. Certainly it's important to me, having spent most of my life as a fan — and the last couple of years writing in the milieu. There are enough think pieces about Star Trek online today to create a singularity, as well as many thoughtful essays by other authors who've worked longer with the franchise. I strongly encourage checking out as many of them as you can. In my case, after spending more than a year and a half working on the Star Trek: Prey trilogy, I would frankly point to it as being the best expression of my deeper thoughts on the series, and what I liked about it. 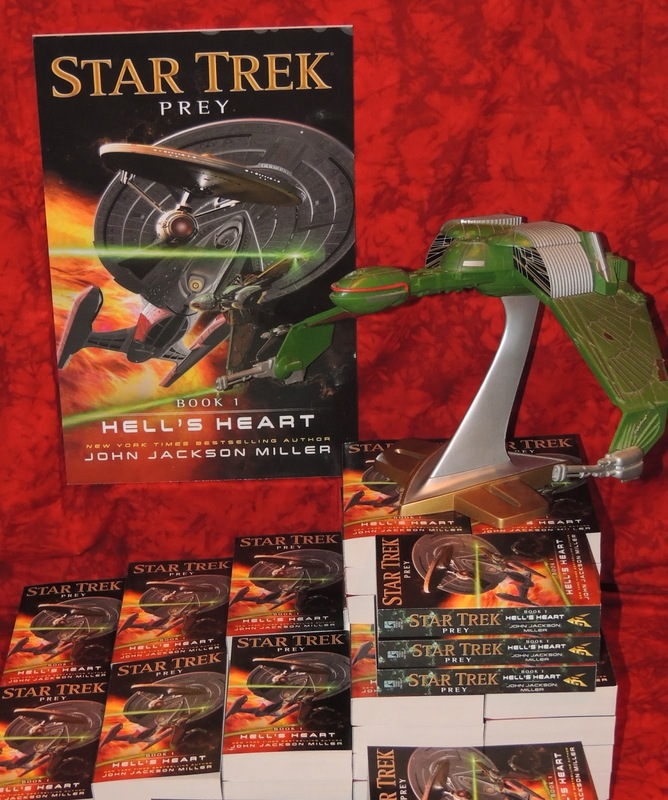 Star Trek: Prey Book 1 — Hell's Heart, which ships September 27 from Pocket Books and which just arrived in my offices (as seen at left) — spans a hundred years, from the days after Star Trek III: The Search for Spock to the current post-Nemesis Next Generation era in the novels. That range gave me the chance to play upon the interactions between characters that drew me to all the various series. 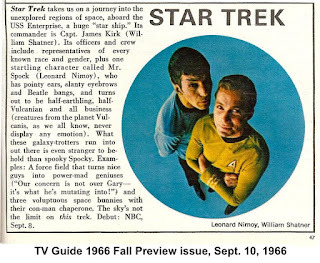 Between Kirk and Spock and McCoy; between Riker and Picard and Worf; and more. It's also a testament to the actors and the characters they created that interactions between characters who never met on screen were so fun to write. 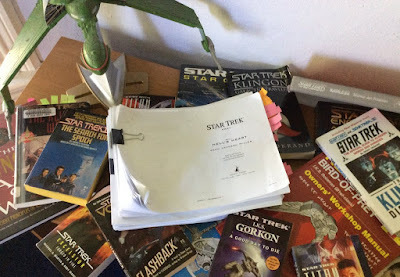 In addition to that, the Star Trek films and movies gave us a universe rich with detail — enough to inspire the imagination and to provide any writer with plenty to work with. I've mentioned that I kept an entire library cart of books beside me while writing the trilogy; that was just the non-digital material. The Klingons, as I've mentioned elsewhere, may have been the subject of more background material than any nonhuman species I've encountered in my tie-in work. It was fun to build a political thriller around them — and to to find some interesting blanks about them to elaborate upon. A few of the books that went into researching PREY. But it all goes back to the original series, and the wide-open sense of promise that it communicated. Star Trek isn't a saga, in the sense of a story with a beginning, middle, and end — but a continuing journey, an endless series of missions. It's been a delight to spend a good part of Year 49 and 50 commuting to the Beta Quadrant. Live long and... well, you know the rest! You may notice the website has gotten a much-needed facelift; included in that are many essays on books that have never had essays on the site, including the Star Wars short stories "Orientation" and "Bottleneck". I'll have more posts up on the other upcoming books in the days to come. In the meantime, if you're looking to get a signed copy of the first Prey novel when it comes out, check out my Shop page. You can also preorder all three parts.